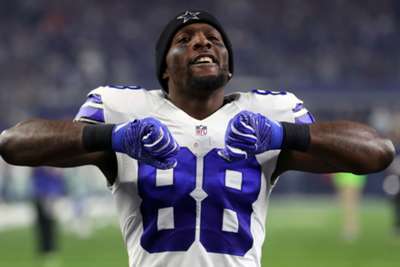 Dez Bryant has signed a one-year contract with the New Orleans Saints, according to the NFL Network. The free-agent wide receiver had been on the market for months, but a deal has now been agreed and Bryant will reportedly arrive at the Saints' facility on Thursday. Bryant, 30, was cut by the Dallas Cowboys in April, having spent his entire eight-year career with the team. He caught 531 passes for 7,459 yards and 73 touchdowns for the Cowboys, including 838 yards and six touchdowns last season. The three-time Pro Bowl selection, who led the NFL with 16 receiving touchdowns in 2014, will get the opportunity to play against Dallas with New Orleans later this month.